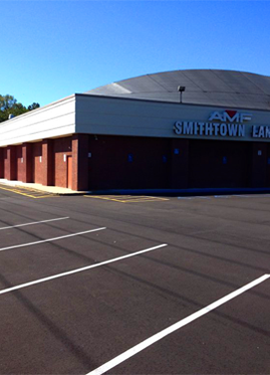 Melville Asphalt Paving - DuMOr Construction Inc.
Commercial property owners in Long Island understand the importance of having a durable yet attractive parking lot for their guests, which is why they always contact us so that we can deliver our professional Melville asphalt paving services. 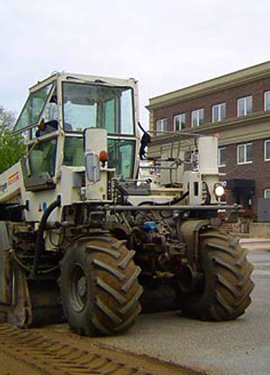 We started out in the industry thirty-five years ago, and within that time we have seen all parking lot problems and provided solutions and services that always pleased our customers. 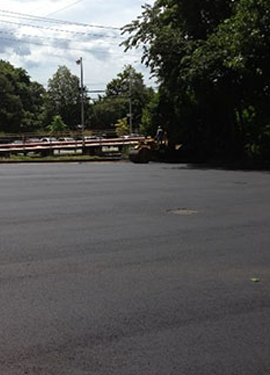 We provide a wide range of asphalt services in Melville. We will come to your commercial property and inspect your parking lot, then give you a detailed summary that is going on with the conditions of your parking lot. If you’re interested in a free estimate, be sure to get in touch with us soon. Melville is located on Long Island, and is an affluent hamlet with a population of 18,985. The area was first known as Sunsquams by the Native Americans, then in the seventeenth century the area was known as Samuel Ketcham’s Valley, which was named after one of the local residents. In 1854, the name was changed to Melville, which means honey in Latin. The name came from the large amount of honey bees and honey in the area. The White Post Animal Farm is a petting zoo that the entire family will enjoy. Visitors can enjoy the monkey barn, bird aviaries, and the new giraffe station. There is also a magic show by Jim McClenahan performed several times during the day at the petting zoo. Families will want to end the day at the zoo by riding the Farmland Express Old Fashioned Train that takes visitors through the zoo. The F&W Schmitt’s Family Farm is always a great time for everyone. The F&W Schmitt Family Farm has hayrides, pony rides, farm animals, and the largest straw pyramid on Long Island. The farm is open year round and will surely be an exciting time for everyone in the family. Music lovers will definitely want to go to the Long Island Music Hall of Fame in the hamlet. The hall of fame was founded in 2004 and has exhibits, workshops, seminars, and is designed to celebrate and honor the musicians in the area. Emilia’s Bakehouse, Suburban Eats, and Tamra Restaurant are just a few of the favorite places to dine in the hamlet. If you are wanting to sample delicious deserts, breads, and chocolate, then Emilia’s Bakehouse will satisfy your sweet tooth. There are many exciting things to see and activities to enjoy in this hamlet, which is why hundreds of visitors come to here for their vacations. 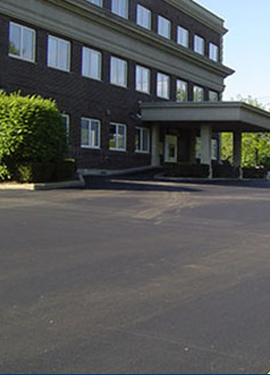 DuMor Construction Inc. is the commercial asphalt specialists that commercial property owners contact for all their asphalt needs. Contact us today and schedule your no obligation consultation. We got a call from a smoothie shop that wanted to have their parking lot repaired. 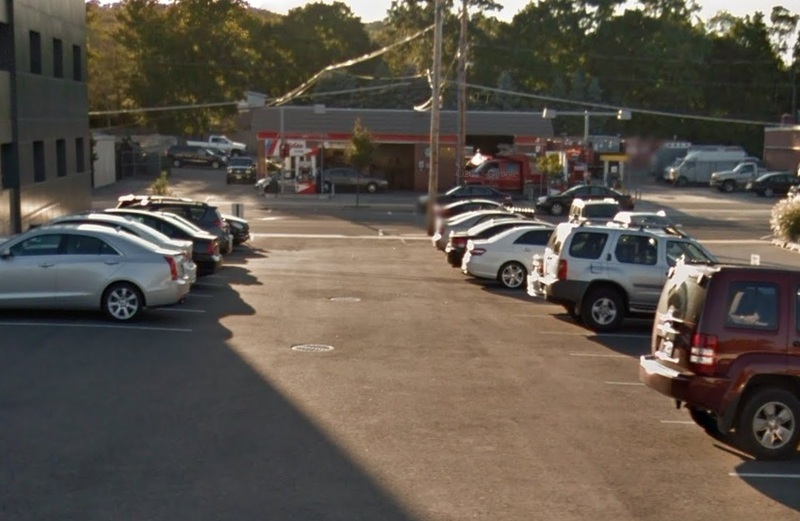 They had not had any parking lot maintenance in Melville at their location done on the parking lot since opening five years ago. Business had been good, which means there were a lot of cracks that would soon turn into potholes. A few of our asphalt experts were scheduled to meet with the owner and provide the owner with an estimate. Our asphalt experts arrived at the smoothie shop and they started inspecting the parking lot thoroughly. They gave the owner an estimate for all of the parking lot repairs and the owner wanted us to start on the parking lot as soon as we could. Our team arrived a couple of days later to start the project. The sun was shining although it was a bit humid and hot, but it was good weather for the parking lot repairs. The crew started off by sectioning off an area of the parking lot, so customers that were coming to the smoothie shop would still have a place to park while our crew worked on the parking lot. The crew thoroughly cleaned the area, then they began to fill all of the cracks in the area with crack sealant. The crew did this to each area of the parking lot, then they were planning on returning on Sunday to apply sealcoating to the entire asphalt surface as the smoothie shop would be closed on this day. The crew arrived first thing Sunday morning and they started applying the sealcoating to the entire parking lot. It took the crew several hours to get the sealcoating applied, then they started packing up their tools and supplies to head out for the day. We were able to get the lot looking nearly brand new once our team was finished. Monday morning one of our crew members went to the smoothie shop to look over the parking lot to make sure that it looked great, which it did and to also talk to the owner. Our crew member just wanted to let the owner know that the parking lot was finished and if she had any questions. The customer was thrilled with the finished product as it looked like she had a new parking lot installed. 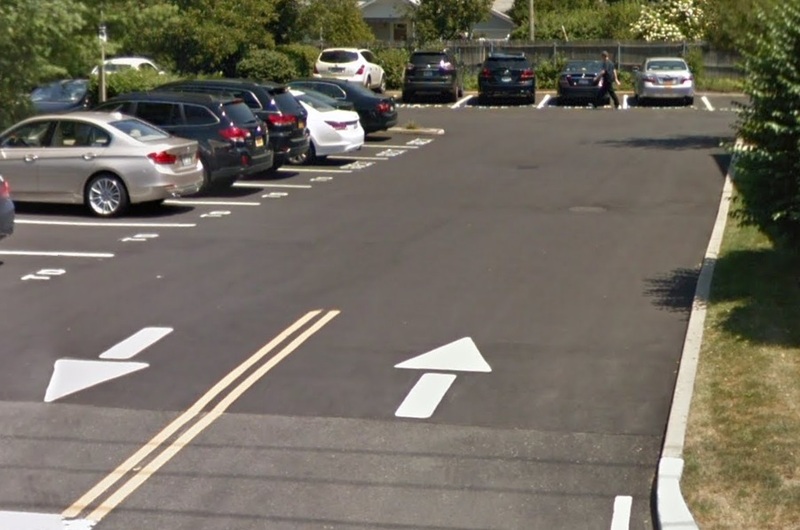 Our crew member let the customer know that she shouldn’t wait five years to have any parking lot maintenance done because waiting this long could cause severe damages to the base of the asphalt, which would be very costly to her. The smoothie shop owner was very happy and she even gave our crew member his choice of smoothie from her shop to show her appreciation.